Imagine a much simpler world where you only needed to remember one password instead of keeping up with an entire notebook of usernames, emails and passwords for various online websites. Now imagine you can do this without compromising any of your online security. Such a world is possible by utilizing password vault and password management tools. It can be frustrating when a website requires you to use a combination of letters, numbers, symbols and capitalization to create a password, but these websites are trying to protect you. Adding even a single character to your password can make a huge difference. Making a 14-character password a 15-character password, for example, makes it about 90 times harder to crack (http://www.pcworld.com/article/2011773/learn-to-use-strong-passwords.html). A strong password is at least eight characters long with random capitalization and special characters. There are several tricks you can use to create more secure passwords. You could use significant song lyrics, backwards text or even numerical writing (@ for a, 6 for b). You never want to use something that would be easy to guess like a spouse or child’s name. When you fail to create a strong password, you leave your account vulnerable to hackers and criminals. By accessing your email, for example, someone can gain all kinds of personal information like phone numbers, addresses, bank account information and even social security numbers. One weak password can give a criminal the ability to use your bank information to make purchases online or use your social media accounts to impersonate you. Hackers can easily access an account with a weak password using what is called a brute-force attack. These attacks are a trial and error method that can easily crack simple passwords by entering random variations of characters. This method is more useful when the hacker does have some information about you personally and can take a guess at the main keyword of your code. LOphtcrack Industries, for example, proved that using brute-force they were able to decode over 85% of office passwords in a mere 20 minutes (http://searchsecurity.techtarget.com/definition/brute-force-cracking). If hackers gain access to one account and your other accounts have similar passwords, then all of your accounts could quickly be compromised. 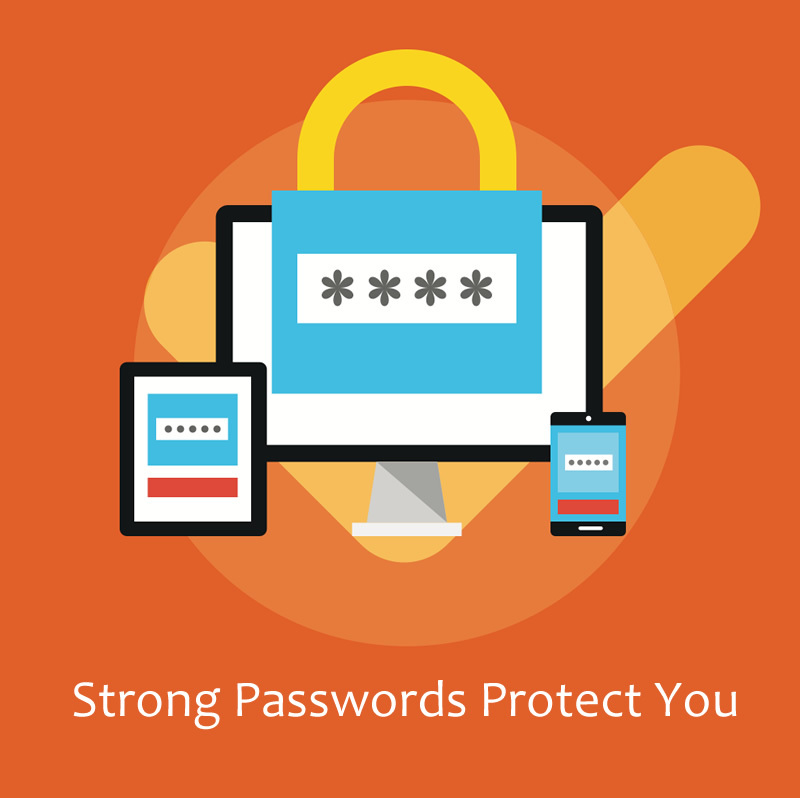 For this reason, you will need a uniquely strong password for each individual online account. Keeping up with random and strong passwords for various different websites can be difficult even if you write them down on a piece of paper. There is a solution that allows you to use unique and strong passwords for each website without the hassle of keeping up with them. A password vault or password manager is a program that will store all of your login information for websites and allows you to log into them automatically with a master password. This means you will only need to remember one password for all your online needs. The program will even remember the email address and username for different websites. Additionally, these password managers can generate extremely secure passwords that are much harder for hackers to crack. LastPass and KeePass are two options that can help you manage your numerous logins easily.